J.A. Henckels 2-Piece Santoku Knife Set just $15.84! Amazon has J.A. 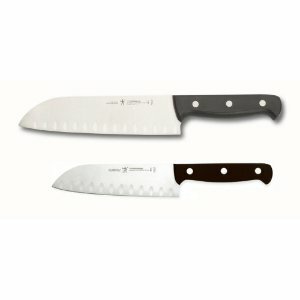 Henckels International Fine Edge Pro 2-Piece Hollow Edge Santoku Set for just $15.84 (reg. $41)! Shipping is free with Prime or on orders of $25 or more. That’s 61% off the list price on a popular set that boasts a 4.5 out of 5 star rating! Hurry over now before the price jumps back up! Huge Overstock Event at Zulily!